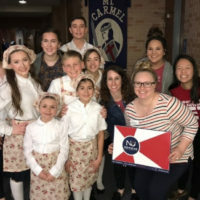 Newman University is filled with unique twists and flavors — from the expansive course options and study abroad opportunities, right down to various cultural experiences and other campus events. 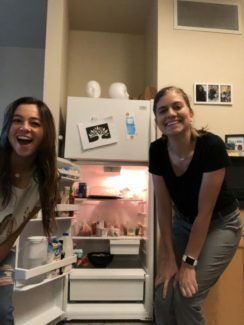 To quench some curiosity, we talked to students to see what other “tastes” they chose to bring with them to the residence halls — starting with their refrigerators. 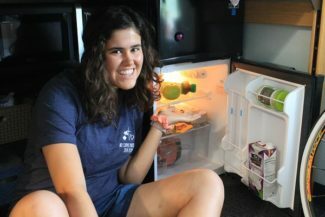 Julia Myers shows how she is stocking her fridge — at least for the first few weeks of class. Freshman Katie Stanford came to Newman all the way from California and was sure to bring a little taste of the West Coast along with her. Katie Stanford brought In ‘N Out sauce from her hometown in California. 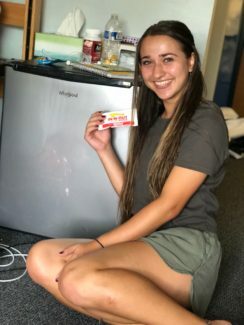 At the recent Back to School Bash event, freshman Kayla Garvert spilled that she already has a game-plan for how she intends to fill her fridge this semester. 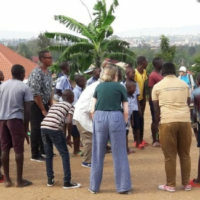 “My fridge is really small and I can get food in the cafeteria, so I just plan to get a whole bunch of different types of drinks like milk, water, tea, lemonade and everything that I can possibly fit in there,” Garvert said. Freshmen Lauren and Sydney Kuhrt are twins from Houston and were brought to Newman by the softball team and the nursing program. 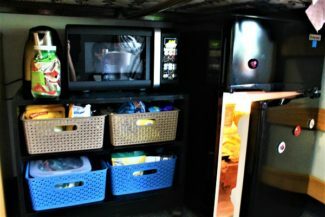 Myers and her roommate set up a “kitchenette” area beneath one of their lofted beds. 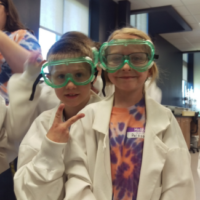 “We’ll get to play softball and study nursing, which isn’t something a lot of schools allow you to do because it’s a lot of work, but it fits perfectly for us,” they said. “I will probably go with fruit, watermelon … I like a lot of fruit,” Lauren added. When it comes to food, senior Xime Name is not messing around. Xime Name and roommate Claire Setter keep their Fugate fridge stocked all semester long. “In my fridge, I have lettuce, mushrooms, carrots, tomatoes, onions — I eat a lot of salads, panela cheese, Dijon mustard, soy sauce, lime, quinoa, avocados, almond milk, strawberries, apples and Greek yogurt,” she said. 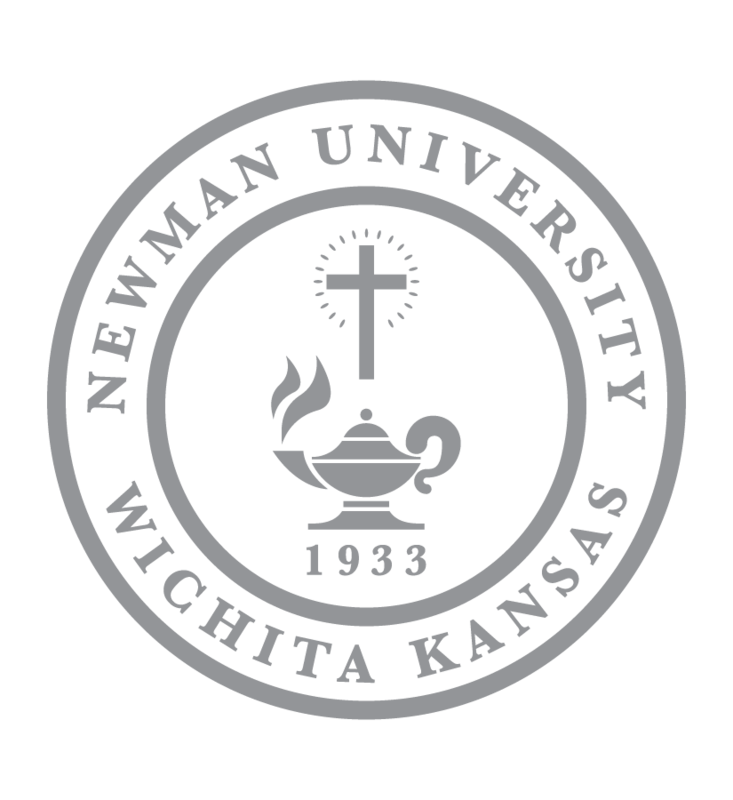 Freshman Connor Langrell and his roommate are both involved in Newman athletics teams. Langrell plays on the men’s baseball team and his roommate is on the cross-country team, so their refrigerator will likely contain several protein drinks and fruits, they said. 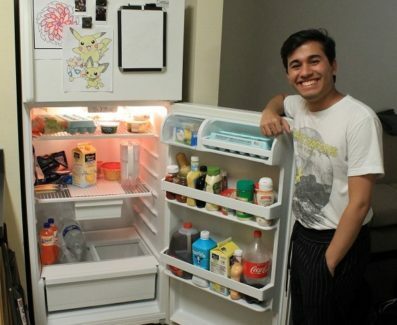 Jose Rojas-Montero shows off the contents of his refrigerator in Fugate. Jose Rojas-Montero and his roommate Dakota Heard stocked their Fugate fridge with items including eggs, salad, Sprite, tea, condiments and dressing sauces, milk, orange juice and butter. 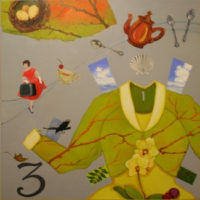 “As far as planning, I usually hope to have cheese, mushrooms and Coca-Cola in my fridge. Coca-Cola is the only soda I drink regularly,” he said.